Hey Beautifuls! I hope you are all well. I've been feeling ill today so I'm feeling slightly 'meh' and down in the dumps. However, blogging always manages to cheer me up so I wanted to share with you this amazing eyeshadow duo I got for my birthday. My lovely mum asked me if there was anything she could post to me in Australia and this was top of my list. I have been wanting to get my hands on a NARS eyeshadow duo for absolutely ages now after loving other products from the brand. 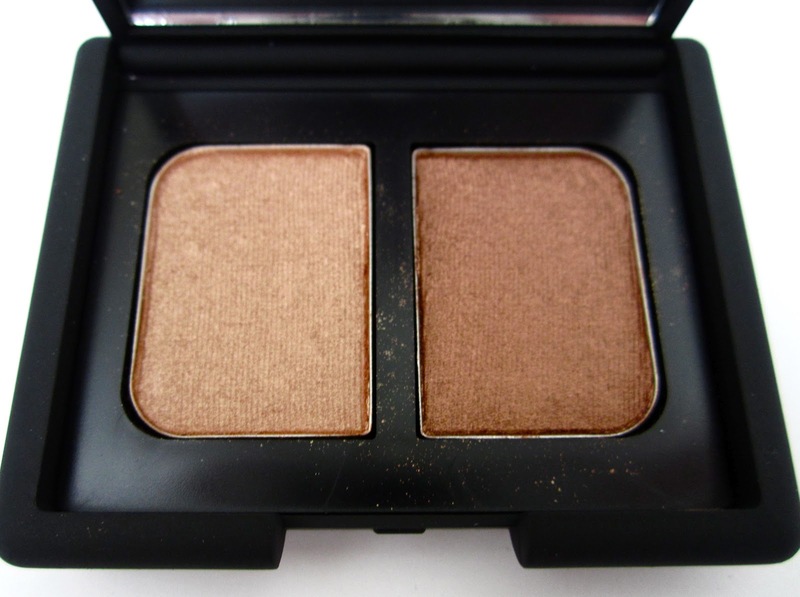 If you read my blog regularly you will know that I am crazily obsessed with their Laguna bronzer (amaze!) and after hearing so many fabulous things about their eyeshadows I just knew I had to give them a try. The only thing that has put me off trying them until now is the price. I realise NARS isn't the cheapest brand going, with one of these duos costing a pricey £23.50. However, as it was my birthday, I decided it was the perfect opportunity to try one out. To be honest, when it came to deciding which shade I wanted to try, I didn't have to think twice. I read on Zoe's blog here that she loved the duo 'Isolde'. 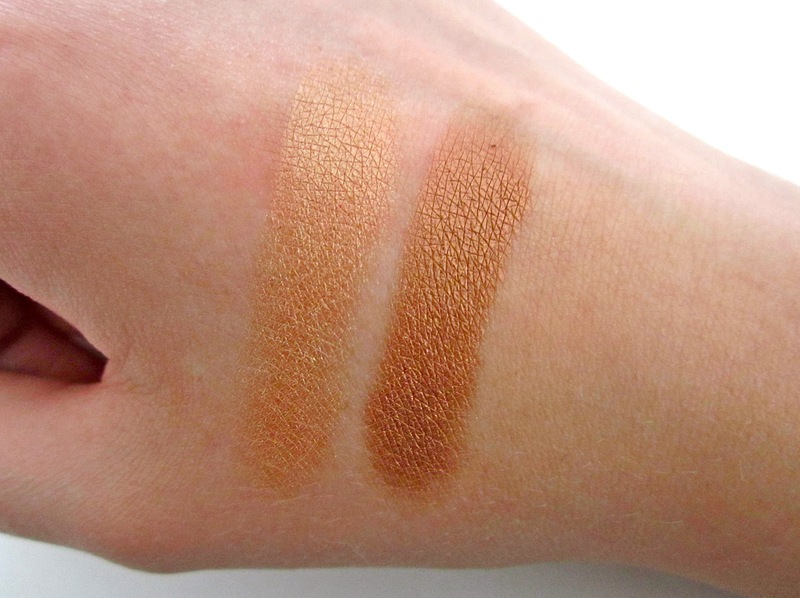 After seeing the beautiful swatches over on her blog, I was amazed by how pigmented these shadows were. I instantly loved the colours in this particular duo too as I have a slight obsession with wearing gold and bronze shades. I think they work well with my blue eyes and Zoe also mentioned that these shades have an orange undertone which again works perfectly with blue eyes. Since receiving this a week ago, I have worn them every single day. 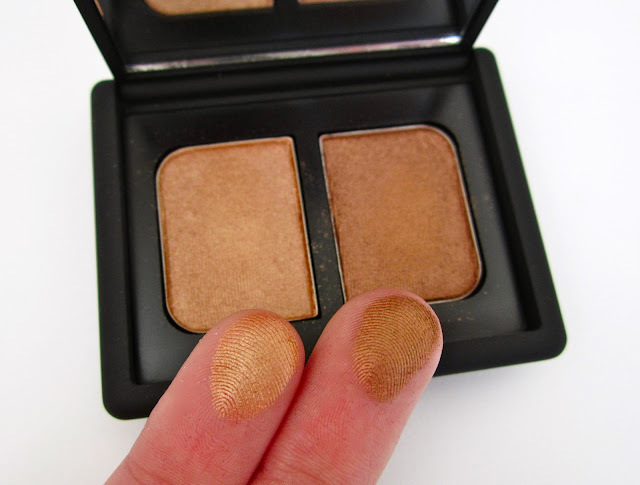 Even though I have a bazillion eyeshadows, I have been reaching for this over any of them. I find that this duo is so easy to grab in a morning, it applies effortlessly and the colours compliment each other beautifully. I have been applying the lighter shade all over my lid and under the lower lash line and the darker shade in the crease. As you can see from the swatches above, they are highly pigmented and with the slightest touch of my finger the colour payoff is amazing. I don't find there is any fall out when using this and the colour stays put all day without a primer. As I said before, this is a pricey product but it will probably last for years as I only need the slightest dab on my brush to get the desired effect. My mum bought me this from ASOS as I find its the easiest place to buy NARS and they often have student discount and free shipping offers. There is also a huge range on the website including the permanent line of powder and cream duos, limited edition duos and their single eyeshadows. I would highly recommend giving one of them a go if you haven't already and if these shades aren't to your taste, they have plenty of other options and something to suit everybody. I also think they look very luxurious in my makeup collection which is a brucey bonus. I will certainly be adding a few more of these beauties to my ever growing wish list. 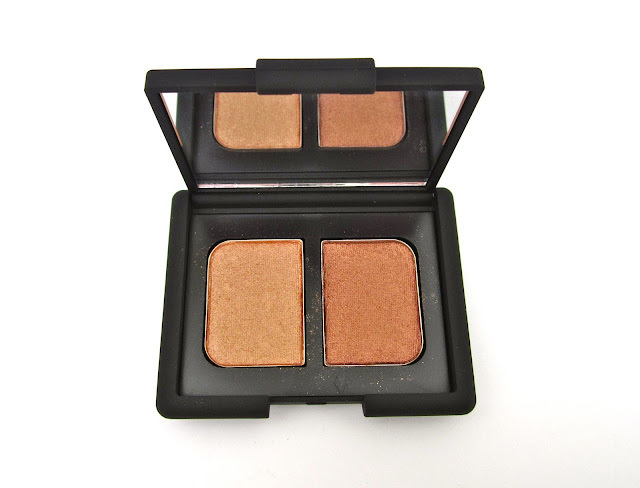 Have you ever tried the NARS eyeshadow duos? Which is your favourite shade? I'd also like to thank Zoe for yet again pointing me in the direction of a total gem! WOW! that looks absolutely beautiful! 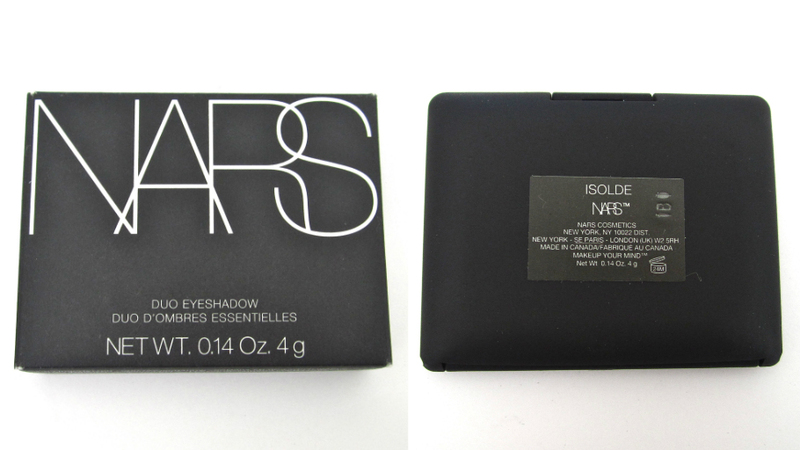 I've never tried a NARS eyeshadow duo, but this one may be my first! The colors look so pretty! Oh, those eyeshadows are so beautiful! Totally gorgeous colours, definitely can see why you chose them! I bet they look great on you! I so need to try out NARS! 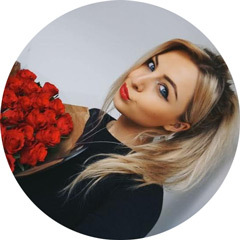 Hope your feeling a bit better now lovely! Such gorgeous shades! They look really pigmented too, I might have to splash out on these! these are gorgeousss! they must compliment your blue eyes like crazy! i love nars, need to get some more duos soon! Omg they are so gorgeous! I really want now. they are such amazing colours, I want them now! !